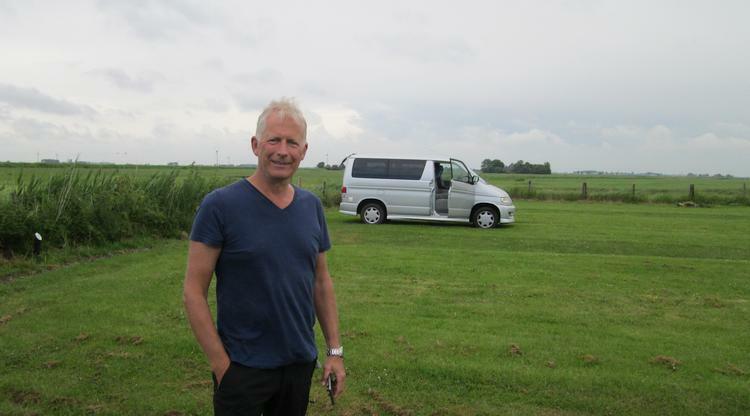 Regular readers might recall a gentleman we met just outside Makkum in The Netherlands. David kept in touch and eventually found himself providing 2 nights accommodation and a guided tour of the Norfolk coastline to Sharon and myself. That'll teach him to keep his mouth shut won't it. When David met Sharon and I back in 2016 he didn't realise what he was getting himself into. David's mother Annie turned 90 in February this year. Apparently back in the day she and her husband used to be bona-fide motorcyclists, travelling around the UK and Europe two-up on a 2-stroke of some kind. Those halcyon riding days are long behind her but the memories aren't. 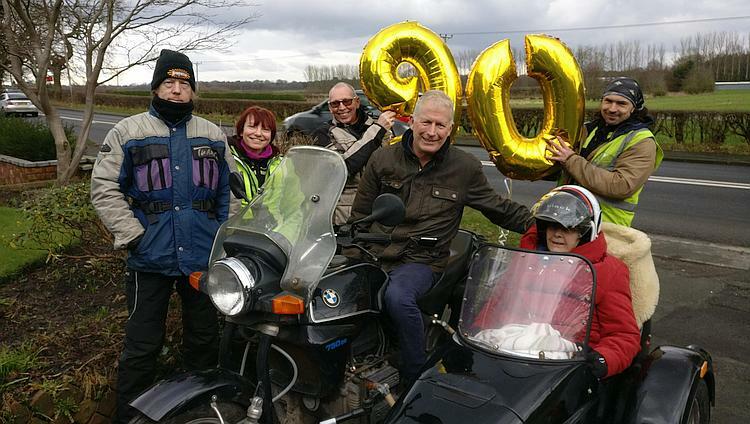 As a 90th treat David wanted to organise a brief ride on a motorcycle once more.Annie is a little too frail these days for hopping onto the back of a bike, especially in the deepest darkest depths of winter. David asked me if I know anyone with a sidecar. Do I know anyone with a sidecar? No...no I don't. Surely I must? No, no one comes to mind. I put a post on Facebook, surely someone somewhere out there has a side car. Several friends direct me to Harry - a chap I've known for over 15 years. Damn! Yes of course "H" as he likes to be called has a sidecar, I'd completely forgotten. 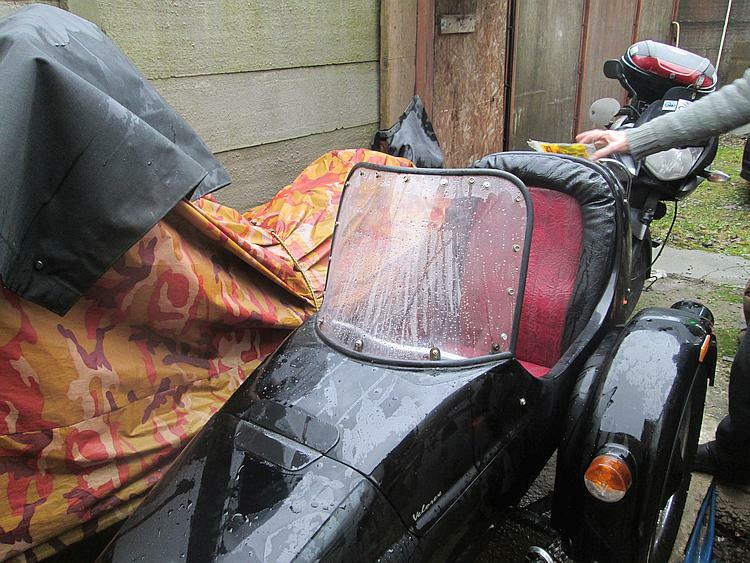 H's sidecar is ideal with a flip front and weather protection. To cut a long story short H is temporarily incapacitated. In his mid 60's he really ought to know better than to be riding around France with a dodgy chain on a Triumph Street Triple. He's not badly hurt but a mangled finger is making clutch usage difficult. Many shenanigans later he's roped in Phil, his friend, to do the combo driving because Phil has sidecar experience. It is a small world. 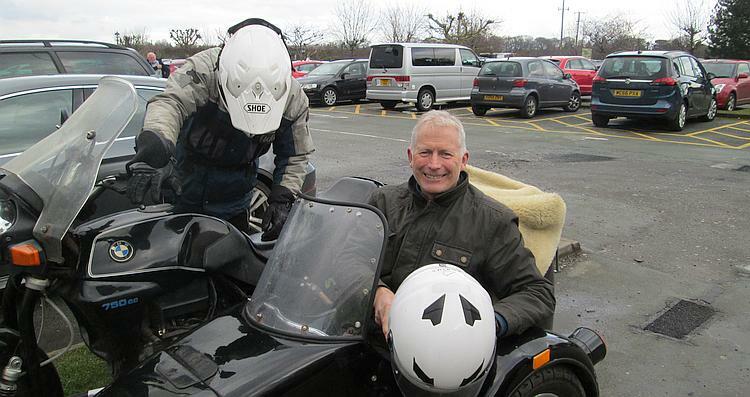 Regular readers might recall we met a biker called Glyn in Llandovery. Glyn recently sent me a link to a video about Russian motorcycles and their passionate owners. It turns out the Phil in the video is the same Phil who'll be steering H's combo for the day. I have met Phil before but it was a very long time ago. Like I said - small world huh. So on this Sunday morning gathered here are Sharon, Harry "H", Phil, H's K750 combo and my 500. We are presently in Darwen near Blackburn and we need to be in Knutsford Cheshire in about an hour. There is the merest hint of snow in the air but the forecast is good. Hopefully. The journey is bitterly cold but the snow keeps off and the sun pops out from time to time. We arrive at Annie's house to be greeted by David and Helen, his partner. Annie is keeping warm inside, we join her while Helens brings us all hot warming tea. 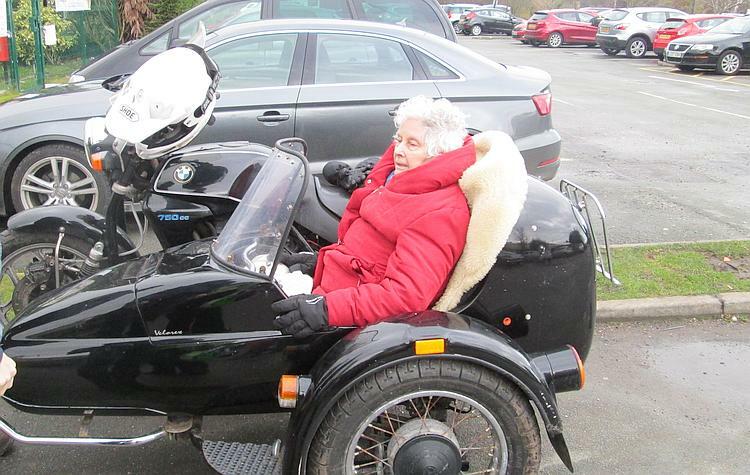 By the time Annie is wrapped in jackets, cardigans, jumpers, blankets and then ensconced into the side car I fear she will overheat rather than get cold. She is elderly and quite frail, struggling to breathe a little and all of this is quite beyond her everyday life experience nowadays. She takes it all with good grace and a smile. Big smiles from Annie and David. Phil's trying to work out the BMW switchgear I think. We head out, David leads in the van with H and Helen, Phil pilots the combo while Annie hopefully enjoys the sharp cold breeze upon her face once again. Sharon and I follow up the rear. We're only taking a local back lane route around Knutsford, it's way too cold for a 300 mile sojourn to the Scottish Highlands today. I ponder my future. Will there come a time when I'm too old and wobbly to throw a leg over a motorcycle and ride away? Will the memories of my motorcycling years cause me to smile or will they distress me because I miss them? I wonder how Annie is feeling. Is she OK, I hope she's not scared, I hope she's smiling. We pull in to a Garden Centre where David treats us all to a brew and a bite to eat. The tomato soup is filled with so much flavour it makes a mockery of the tinned stuff I'm used to. The plan is to return back to Annie's with Annie in the van but Phil asks Annie if she would like to do a few miles more. She's totally up for it so we're off again! We take in a further 5 or 10 miles and the day is drawing on. Back at Annie's house I spend a moment saying goodbye to her, she thanks me by holding my hand and telling my quietly she's had a great day out. David and Helen bid their thanks to one an all and it's time for us to head back home. Phil takes David for a quick spin too. When mum woke yesterday, her first words were "we had a good day yesterday, didn't we?". Says it all. You and the guys (and girl) made an old dear very happy. I had my concerns she might have found it all a little overwhelming. She may be old and a little frail but within her the biker spirit is still burning. It is the day of Annie's Birthday ride and I have hurt my shoulder. It has been problematic for some time. Maybe I am growing another lump, maybe I just have some damage from my other operations. Either way any activity that requires me to move my arms a lot, particularly above my head, causes me quite severe pain the next day. I have been decorating, so I am paying the price. It is too painful to ride my motorbike but I do not want to miss this day. Fortunately I don't have to because I can be a pillion on Ren's bike. I know Ren has been worrying that all his best made plans may come awry. So it is a great relief when everyone arrives safe and sound and on time at Annies house. It is good to see David and Helen again and catch up over a brew. Annie is a delight. She holds tightly onto Phil's hand as he sits next to her on the sofa. She is both excited and nervous in equal measures at the prospect of her motorcycle trip. Once seated inside the sidecar we all set off. Everyone is a little apprehensive. Will Annie be ok, will she enjoy it? We stop after a few yards to check all is well. It is... fabulous. After a lovely lunch it is time to return Annie home. She is given the option to return in David's van or have another spin in the side car. Annie opts for another ride in the sidecar. Go Annie, what a spirit this lovely lady has. "C'mon Phil, let's hit the road!" Once home we all bid farewell to Annie. She shakes all our hands and as she holds mine I say I hope she had a good Birthday. She tells me she's had a lovely time. That is all we had hoped for, mission accomplished. As I look around at all who are here today I feel a rush of genuine warmth for human kind. Too often we read about the horrors that humans are capable of. It does the mind and soul good to remember that humans are also capable of great kindness and simple good will. Everyone gathered here today did so for one reason only, to give someone else pleasure, to give a lady a 90th special Birthday treat. To H for the loan of his fabulous sidecar. To Phil for riding the motorcycle and sidecar combo and for taking such careful care of Annie. To David and Helen for coming up with such a lovely surprise for David's mum. Especially to Ren who arranged it all to make this wonderful day happen. Lastly thanks to Annie herself for her gentle smile and being game enough to enjoy some motorcycle mayhem at 90. I got a gift too. I got a lovely warm feeling of happiness for being part of such a fabulous day and for being human because sometimes humans are alright you know. Phil, Sharon, Harry, David, Ren and Annie. Did you get a chance to try out an outfit Ren? Can be great fun. Although not always for the passenger. Many many years ago we were wending our way back from the frozen North with our (t)rusty Norton 16H and Watsonian Avon after a Christmas visit to my parents. As night fell we encountered freezing fog mixed with sleet just south of Derby (long before the M42 was built) so stopped briefly at a transport café to warm up. 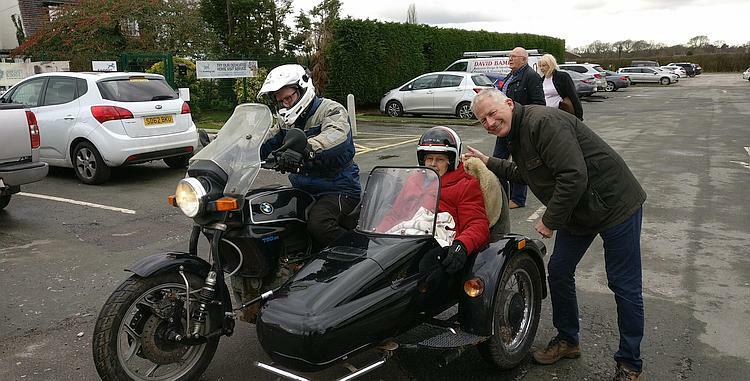 When we came out my wife refused to get back in the coffin-like sidecar (which unlike the model above was missing its windscreen so must have been purgatory). Fortunately a friendly lorry driver strolled across and with his help I managed to persuade Electra that getting back in the chair for another hour or so was preferable to being stranded beside the A38. As a young 20yr old green wanna-be roughty toughty biker I was on a rally when I first tried an outfit. It was - oddly enough - a Ural much like Phil's in the video. Luckily we were in a field. As I sped towards the ditch I leaned to turn - only to find the bike was continuing in a straight line. What's up! Why won't it turn!! Aaaaah, you actually have to steer, to physically move the 'bars rather than lean. I only just managed to avoid said ditch. I did wonder if I could ride the combo. Then I recalled my previous experience. I'd be happy to have another go in a car park or field but I am not ready for the open road. I suspect it may take a few minutes to get the hang of things and a lot longer to master it. Cholesterol. Who invented cholesterol and ruined the pleasure of a Full English? Here's your opportunity to join the ranks of the chairmen Ren. Ian - I think the rocking horse is probably more in line with my abilities.